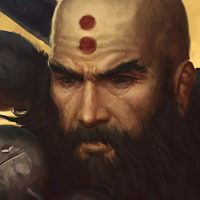 Forums Monk Play now or wait for patch?? Play now or wait for patch?? Hi guys, I was just wondering if I should wait for the patch to come out. I feel like playing on the live servers is pointless for a monk main, because so much is different. Is the patch coming out soon? I played a bit on the PTR and I like the changes they are making, but I don't want to put a bunch of time into the PTR if it's not transferred over to the live servers. It doesn't transfer, right? Thanks a ton! PTR is just good since it allows you to waste your souls and whatever to test out whatever you want. not known when the patch will go live. but it will probably be 1-3 months at least. and ptr does not transfer. in fact the ptr will go though a few wipes this time, so even if you find something good on it you wont keep it for the entire ptr. if you feel like playing, do. if you dont, dont. thats the best way you will get the optimum enjoyment out of the game. if you arent playing when you want to, youre depriving yourself. if you are when you dont want to, youre torturing yourself. Yeah, I don't feel like playing live servers, but I wanna play PTR. I guess I made it kinda confusing. I don't want to play PTR though cause I don't want to lose everything I put my time into, so I'll probably just wait for 2.1 to come out for live. You have a good point, Davlok! It's probably not going to work out, and I'll hate everything I enchanted incorrectly, and rue the day I didn't roll that socket off, but fun is fun! Right now, I slow down to play monk and try level other toons. In case, monk is not viable in PTR that I can swap other toons to play. So I farm all set gears or weapns for other toons and save more golds and souls before PTR release. Rerolling sockets on jewelery is harder than I thought!